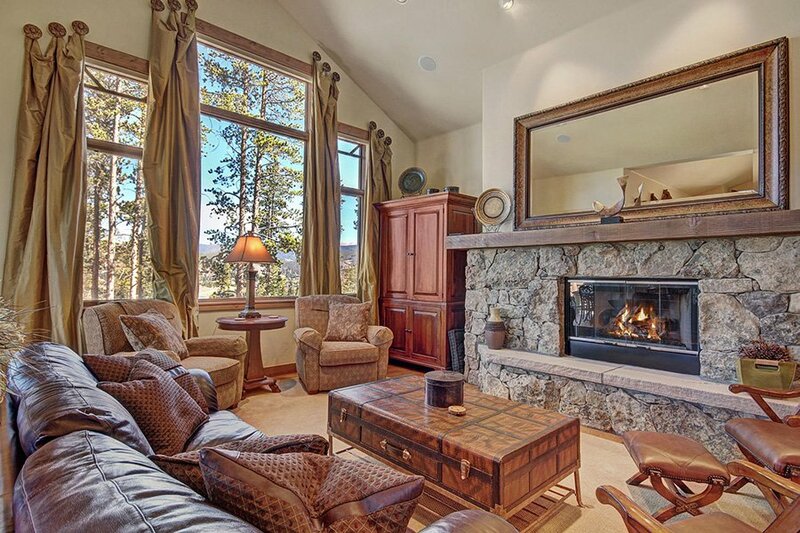 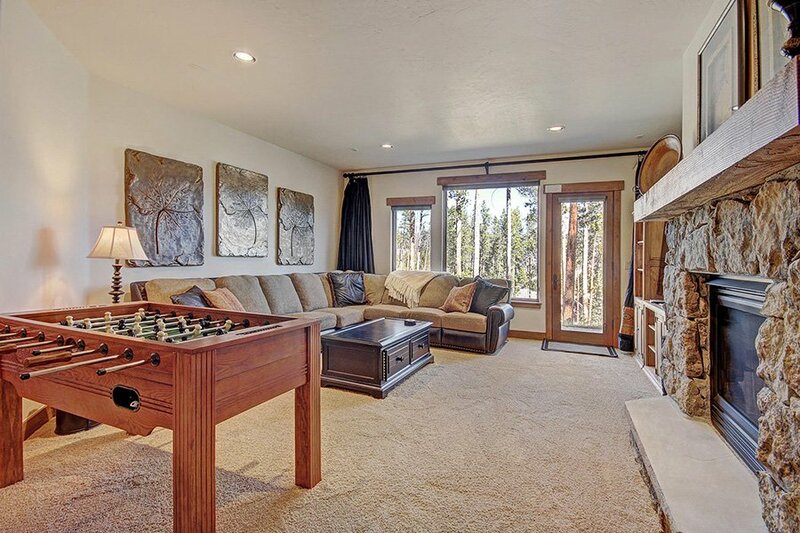 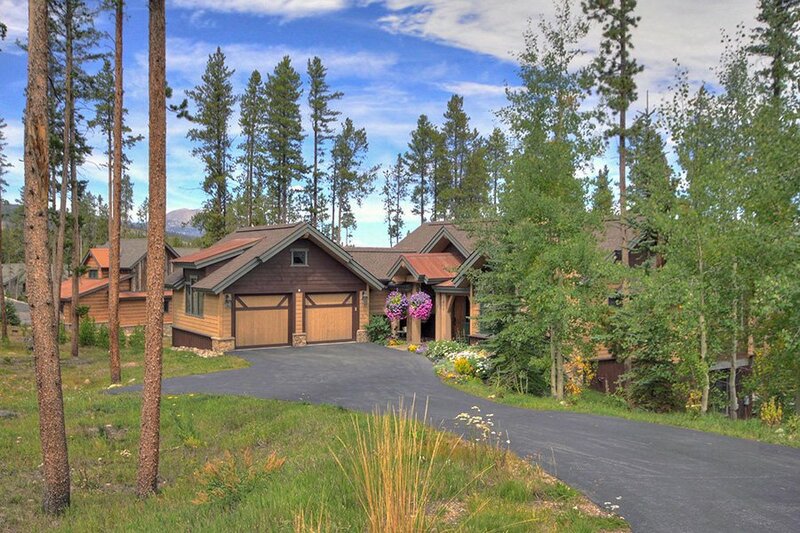 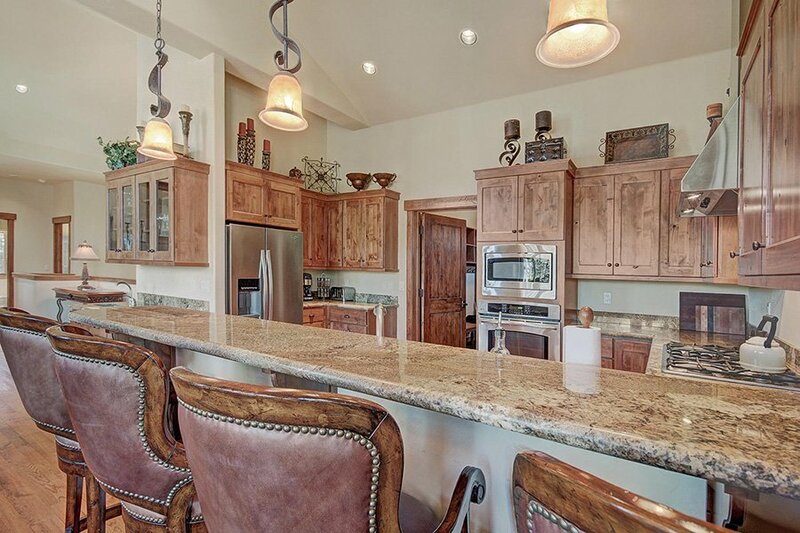 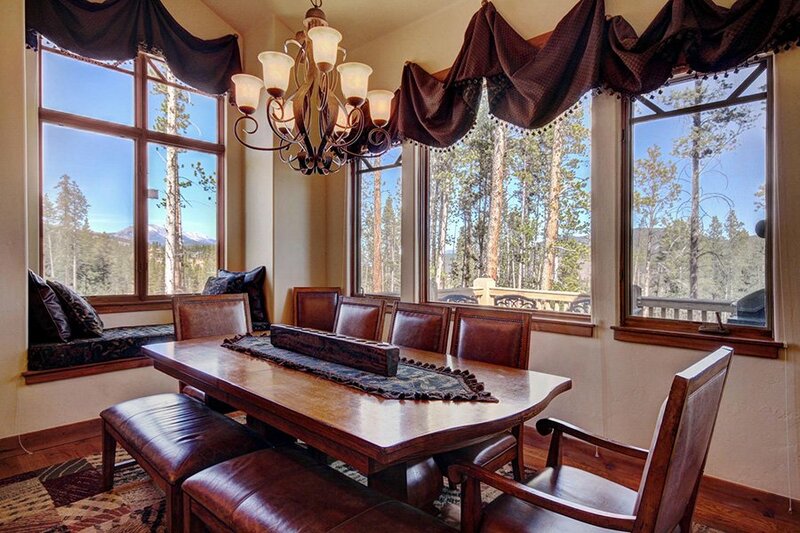 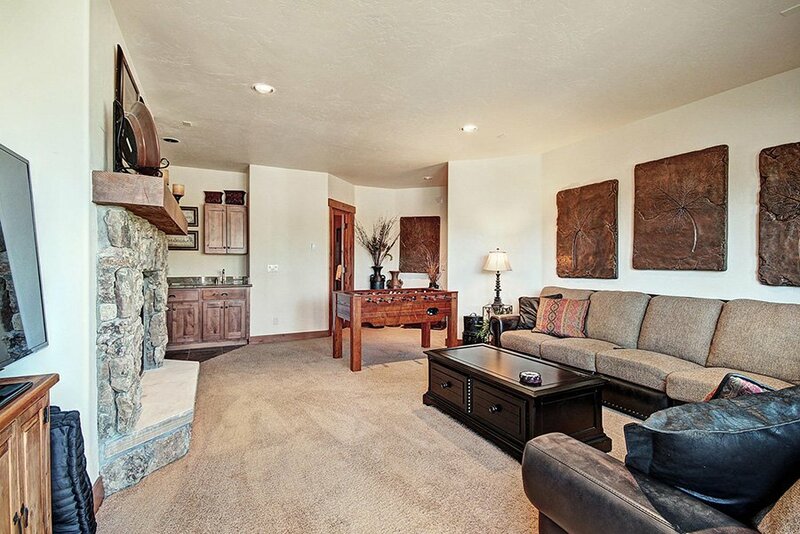 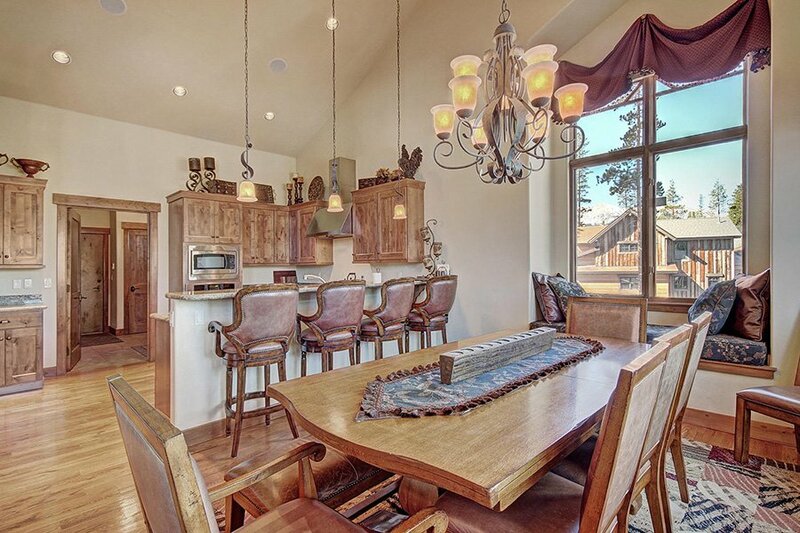 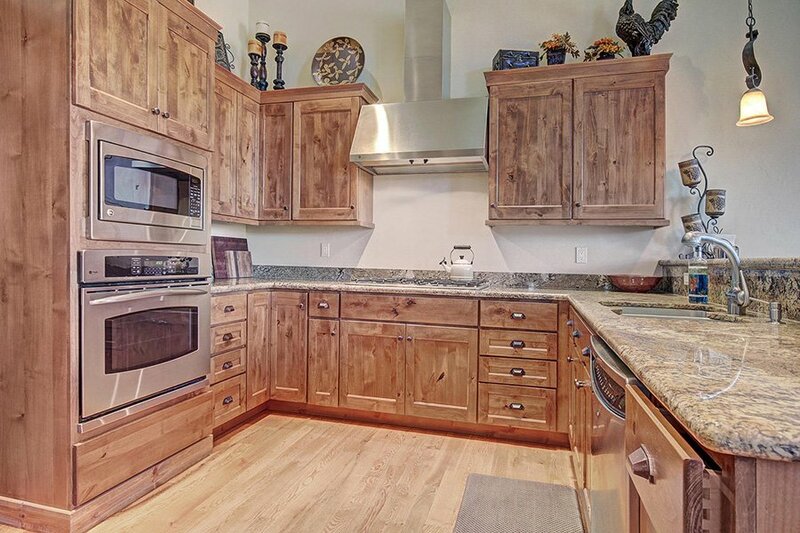 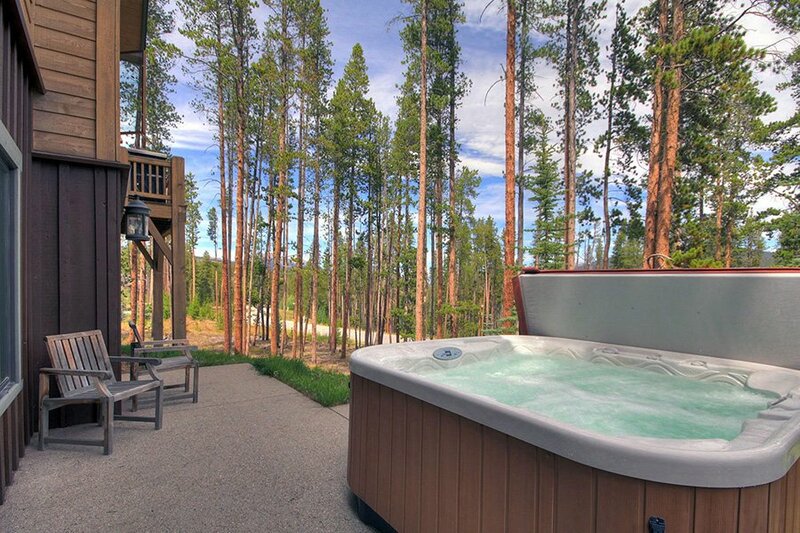 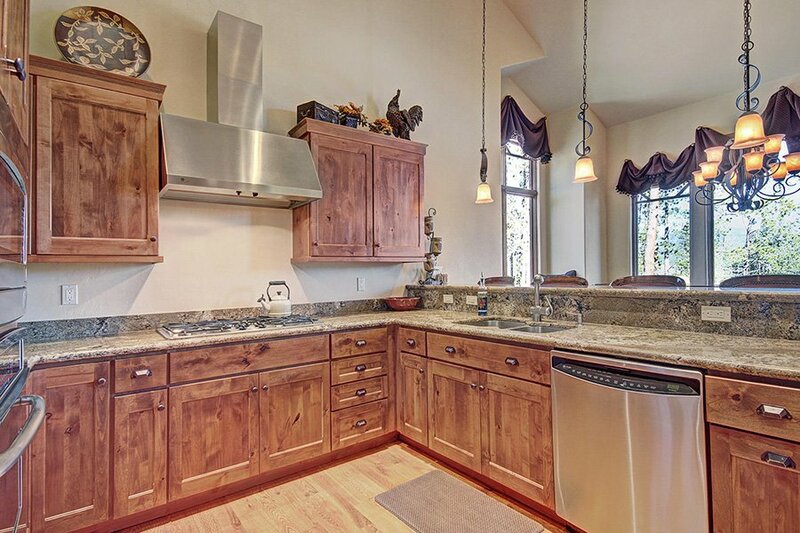 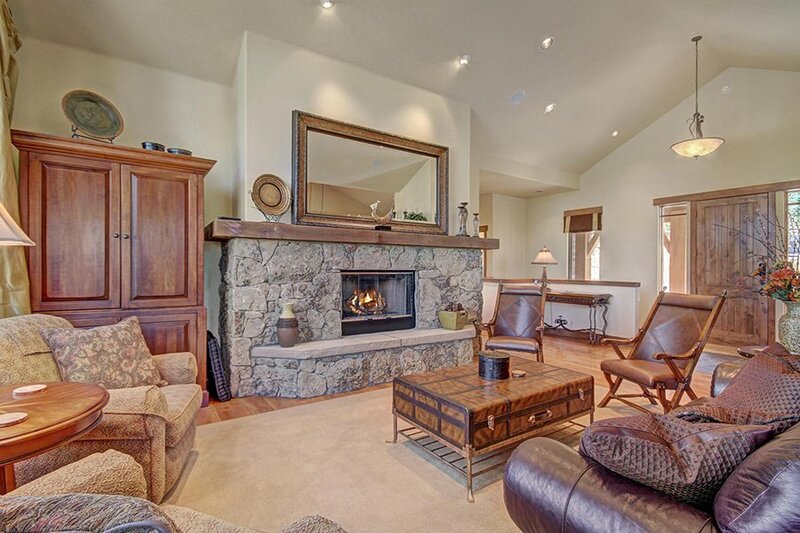 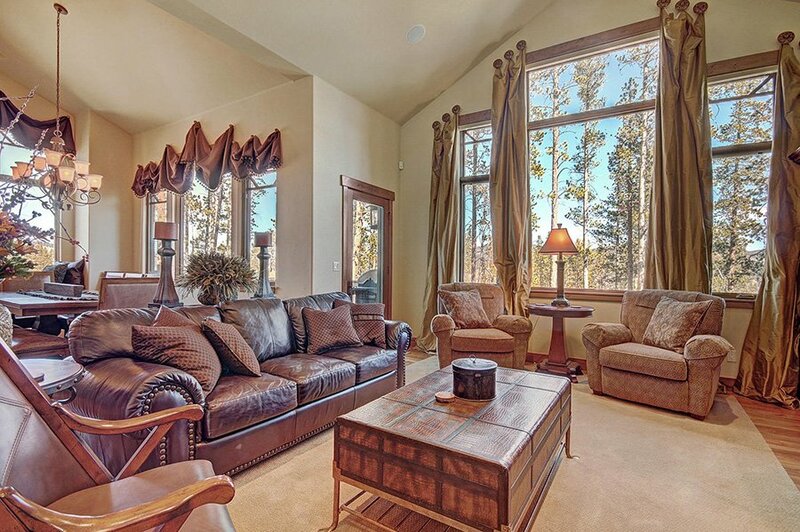 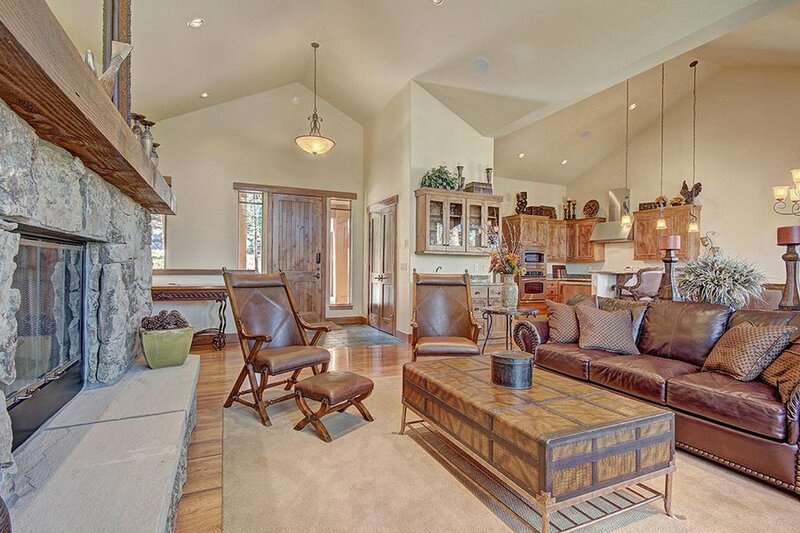 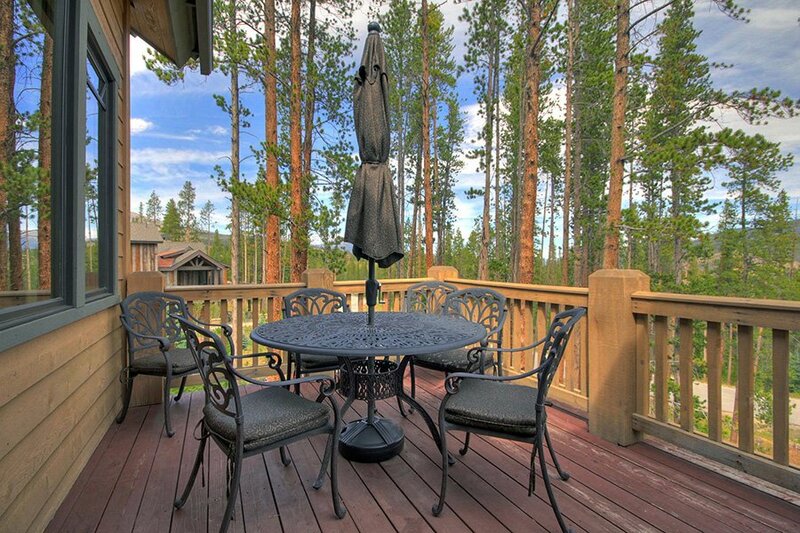 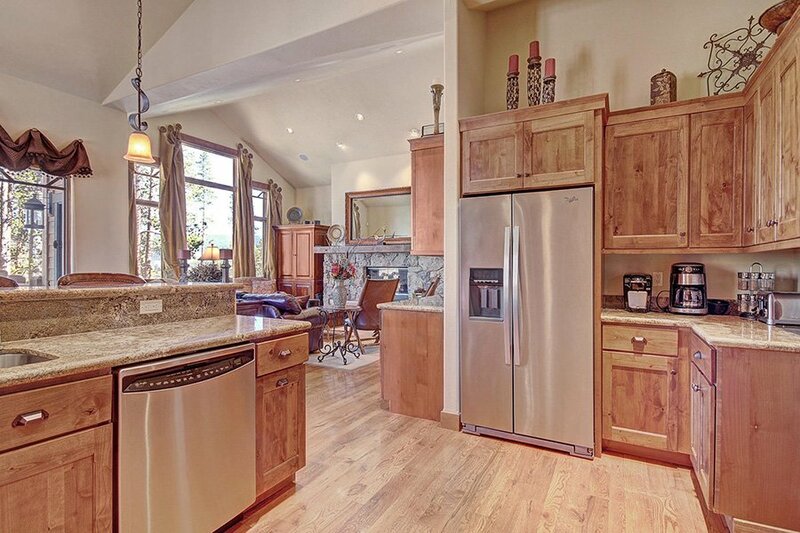 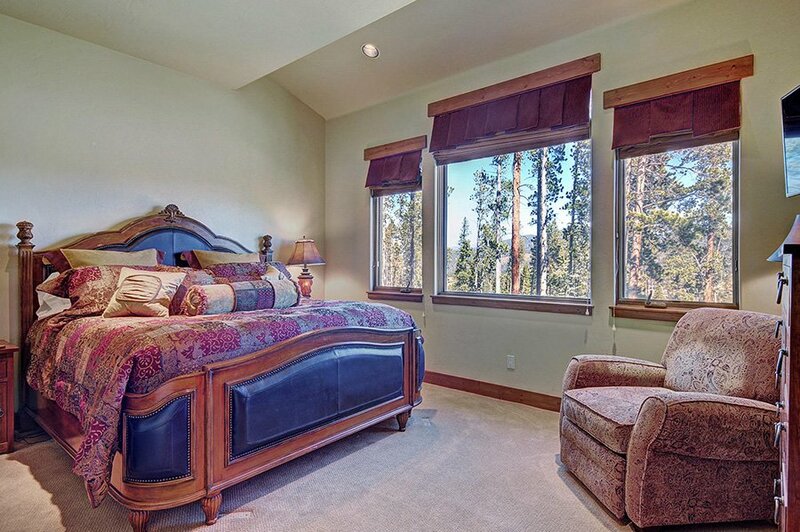 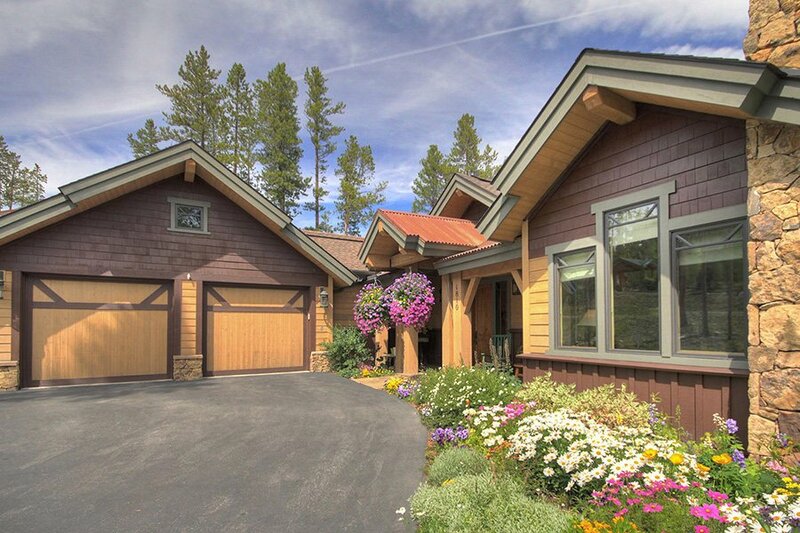 This beautiful 5 bedroom luxury Breckenridge, CO vacation rental is located in the prestigious Highlands development. 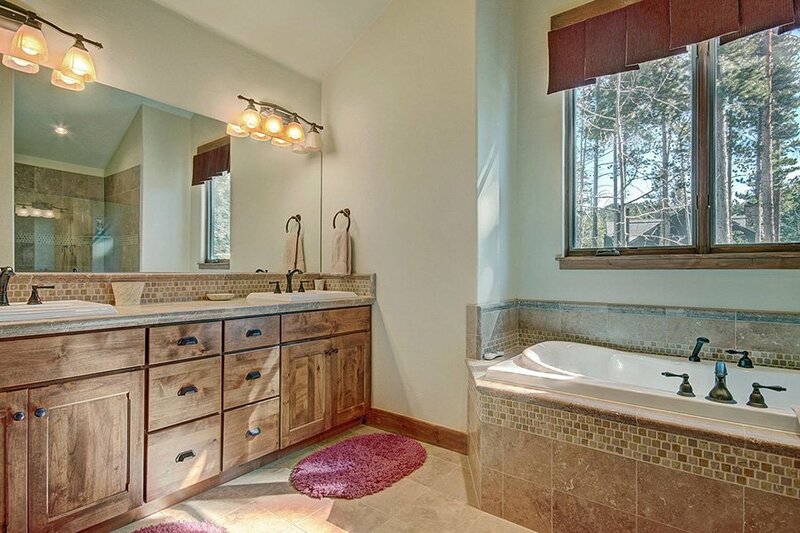 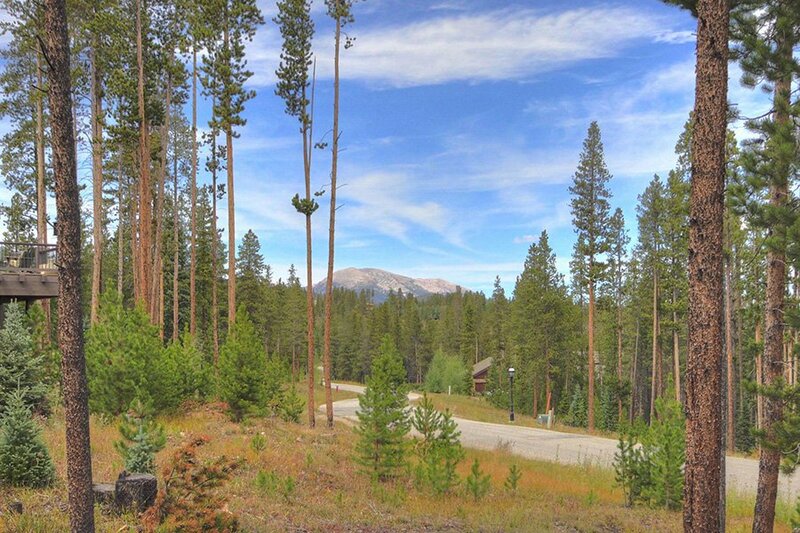 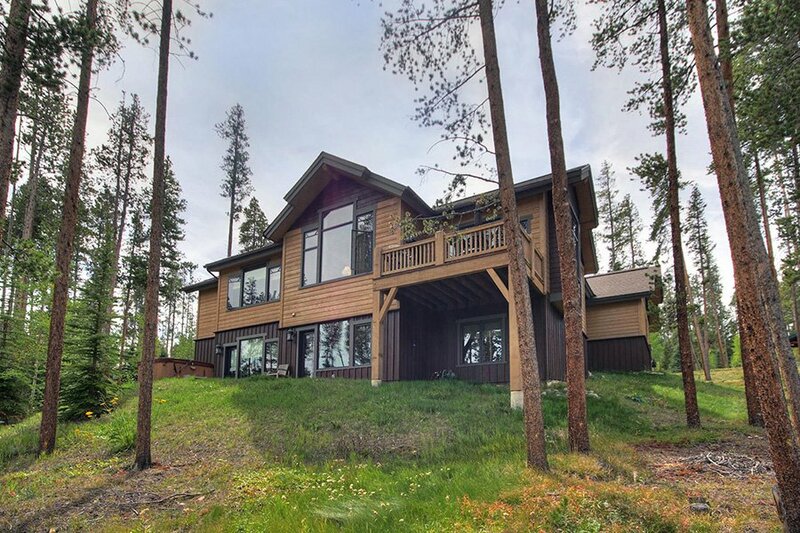 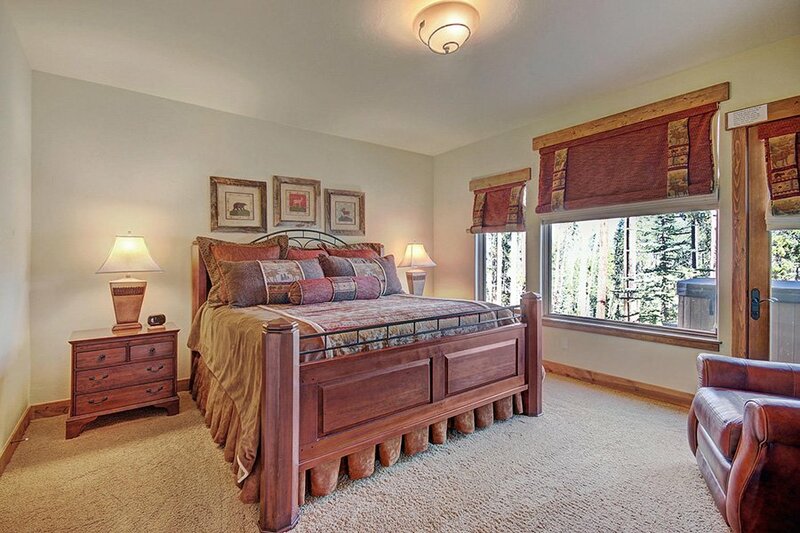 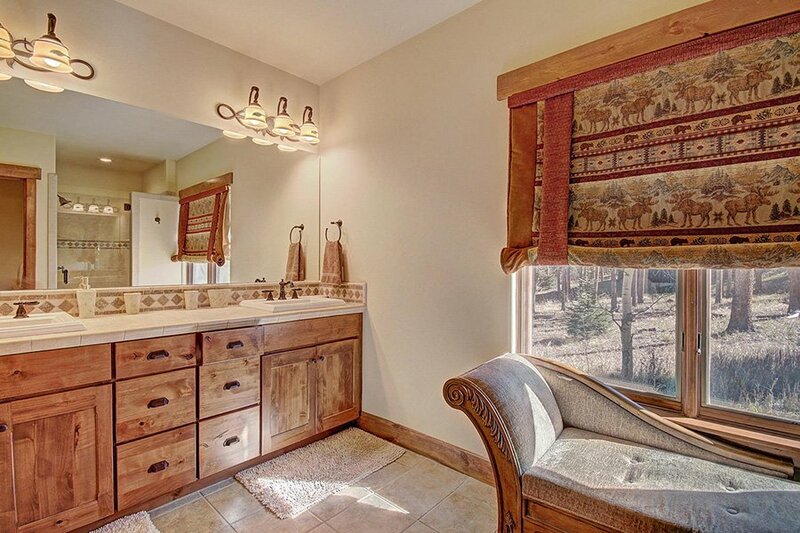 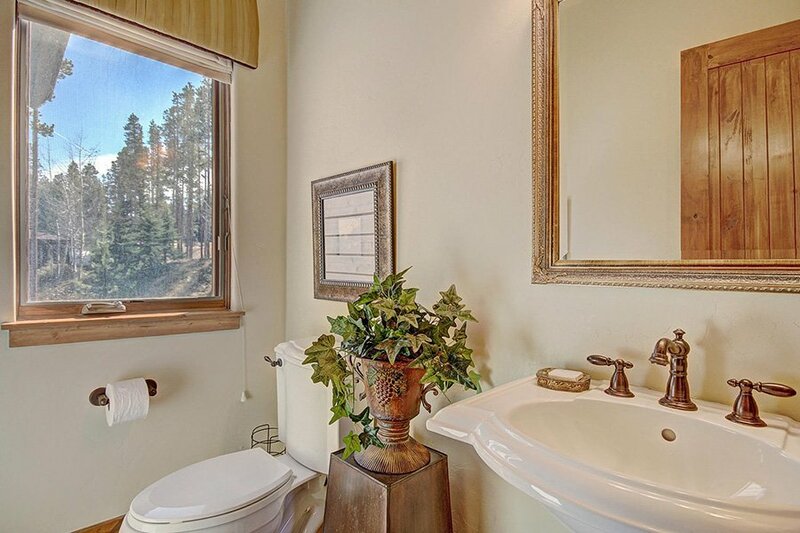 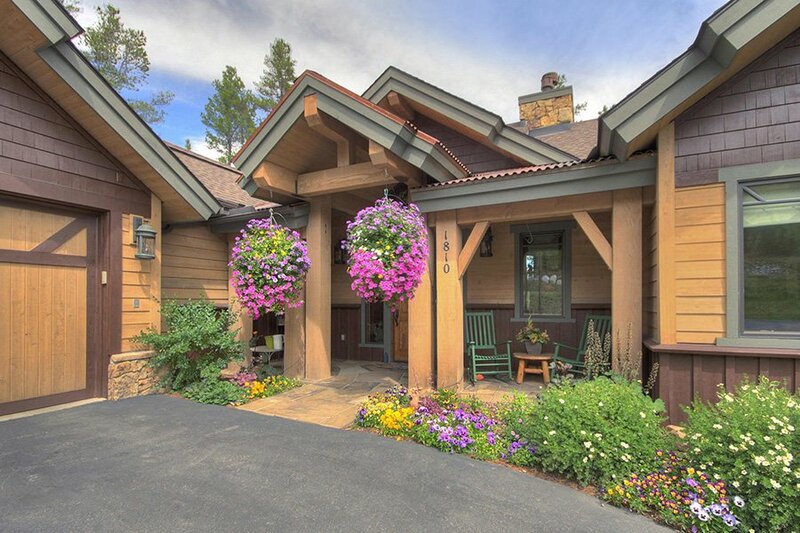 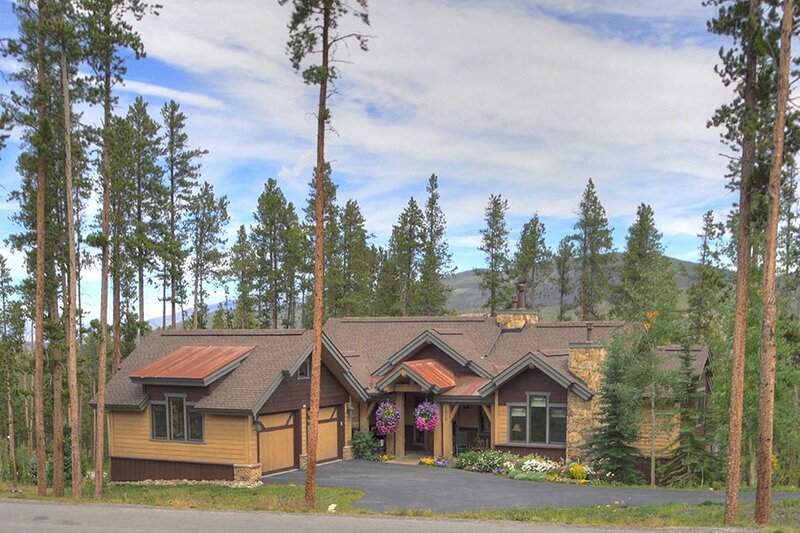 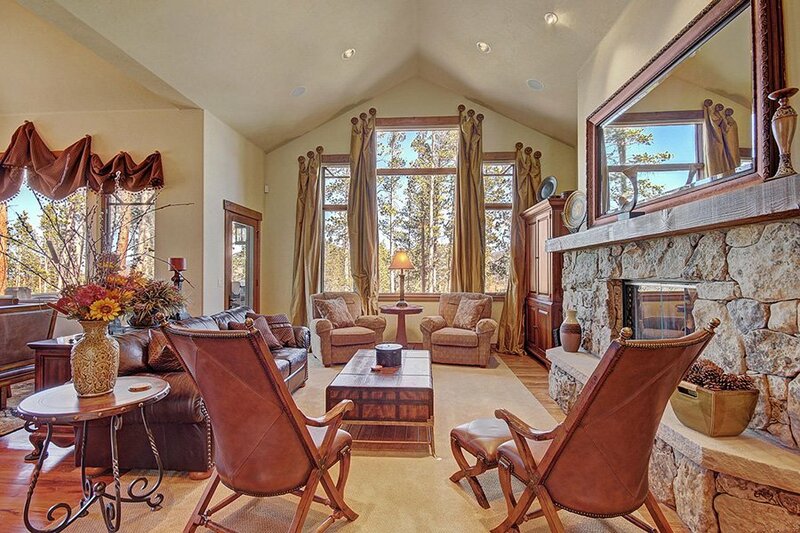 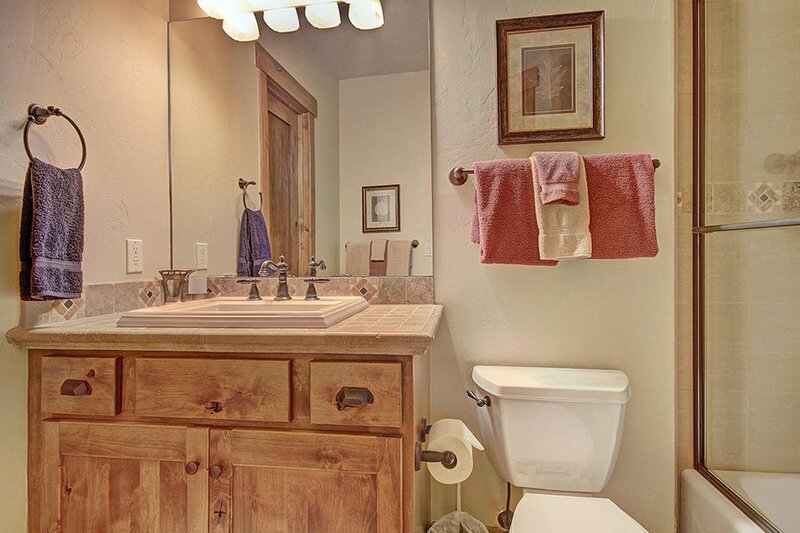 The home sits in a peaceful location near the Breckenridge Golf Course and Gold Run Nordic Center and is just a short 3.5 mile drive to the BreckConnect Gondola for skiing and shopping and dining in the Town of Breckenridge. 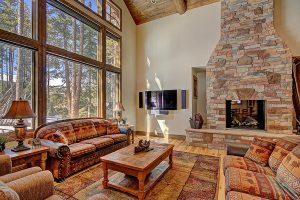 Moose Crossing Lodge was designed by one of the best architects in the Breckenridge area so flow and function are top notch. 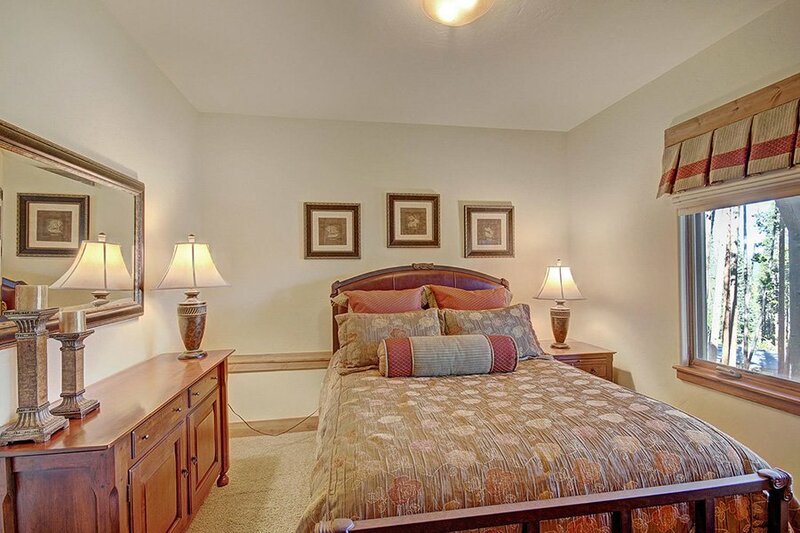 Master bedroom is conveniently located on the main floor and therefore no stairs are needed to access. 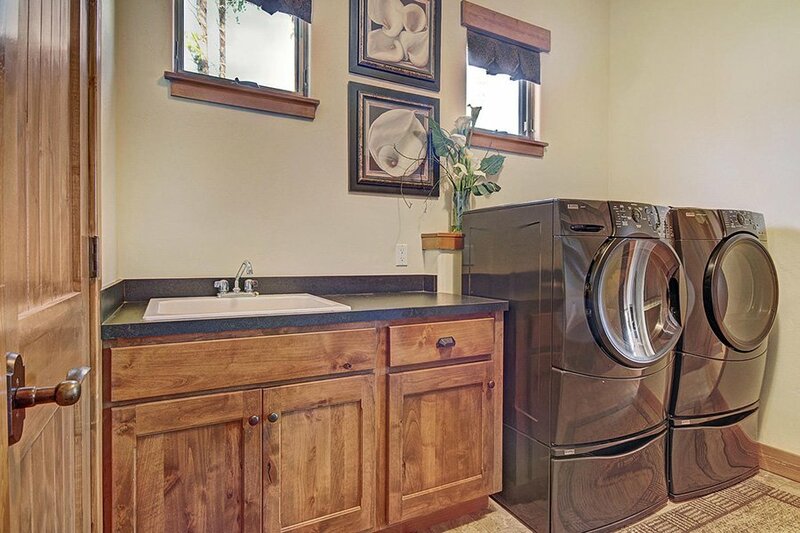 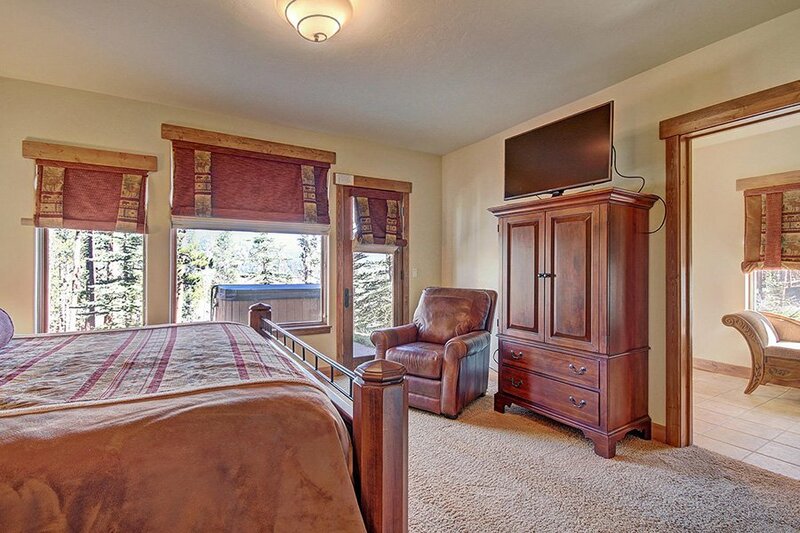 Other amenities include a fully stocked kitchen, private hot tub, HDTVs, gas BBQ and a 2-car heated garage. 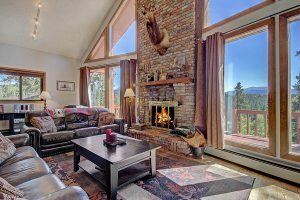 Charming mountain home with 4 bedrooms plus a large loft, 3 bathrooms and private outdoor Jacuzzi. 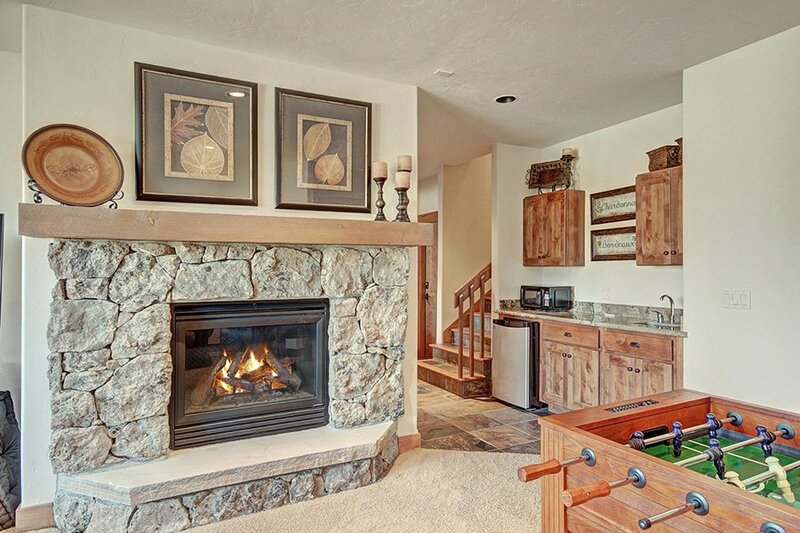 Fully equipped kitchen, 55" HDTV, ping pong table, and living area with wood-burning fireplace. 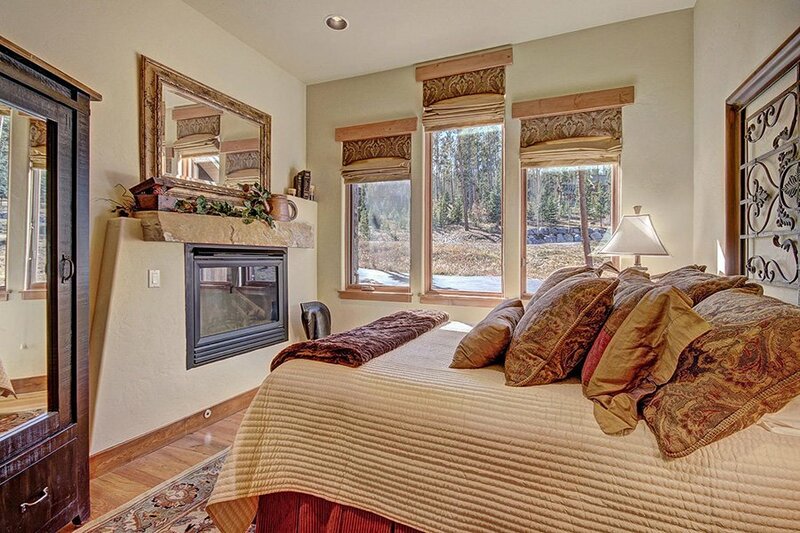 Warm and decorated in mountain decor. 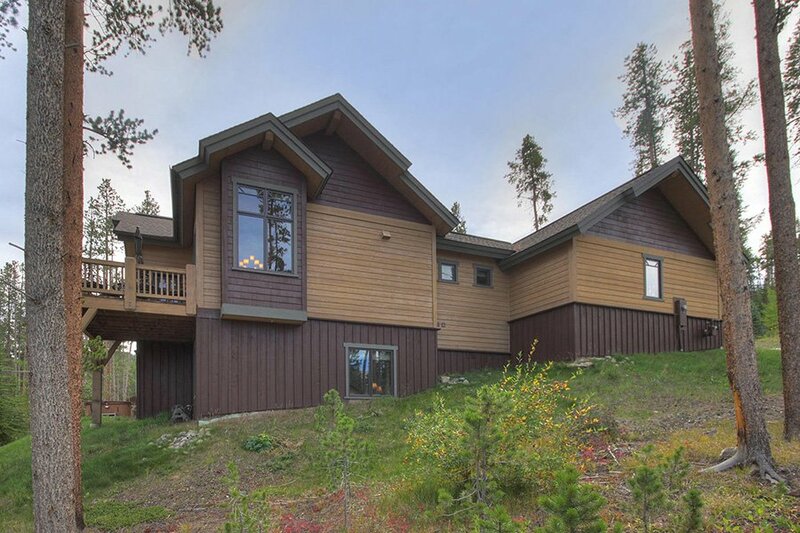 Located on quiet Peak 7 and just over a mile to Peak 8 ski mountain. 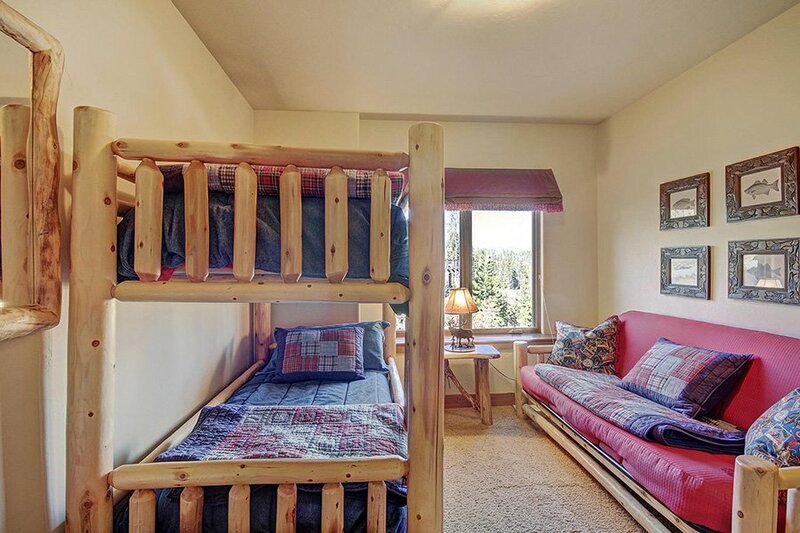 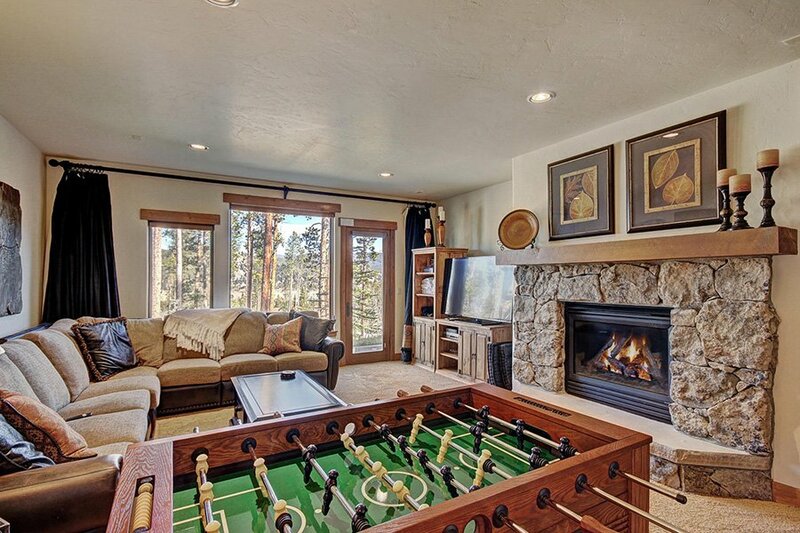 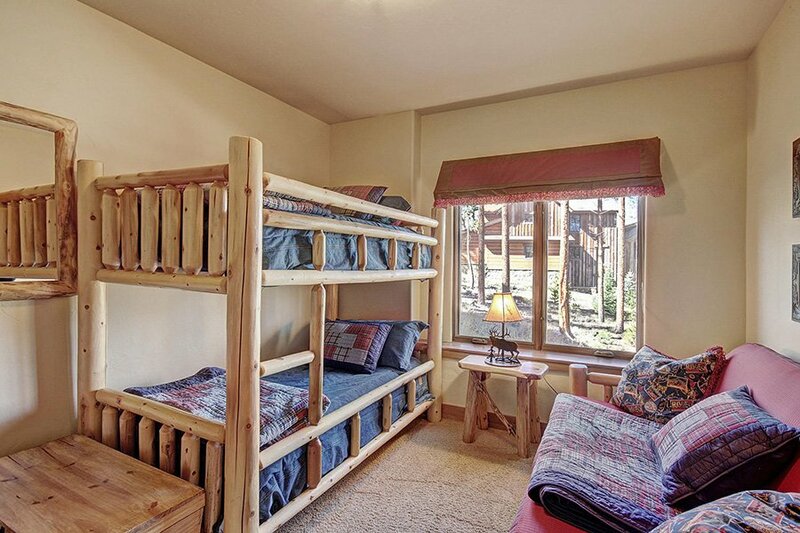 With three king beds, a bunk room with two twin bunk beds and over 4,800 square feet this mountain home vacation rental is perfect for a multi-family getaway. 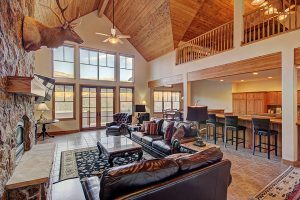 If the amazing views aren't enough for you there's a pool table, card table, Blu-ray player and an indoor hot tub to capture your attention.